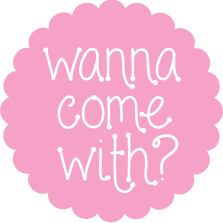 Snickerdoodles | wanna come with? 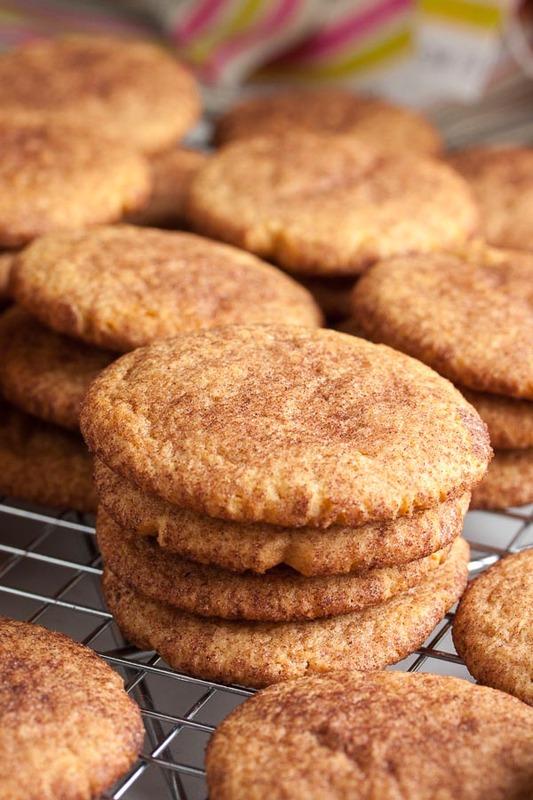 Unlike the last snickerdoodles I made (which were, incidentally, the first snickerdoodles I’d ever made – so I’m not exactly working with a wealth of experience here), these contain nutmeg and a bit of molasses, giving them a richer flavour. But just like the last ones, these didn’t spread or puff up or crack like they were supposed to. 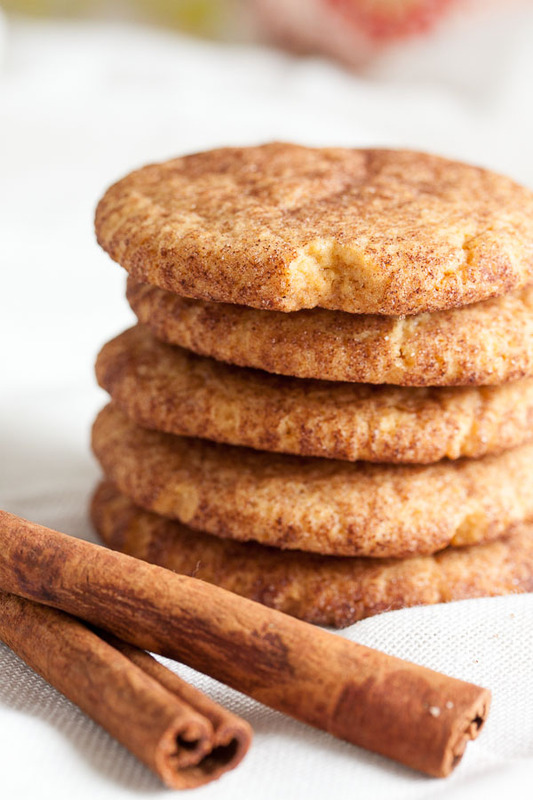 I’m determined to crack the snickerdoodles secret! I’m just going to have to keep trying recipes, right? I’ll get it. Eventually. 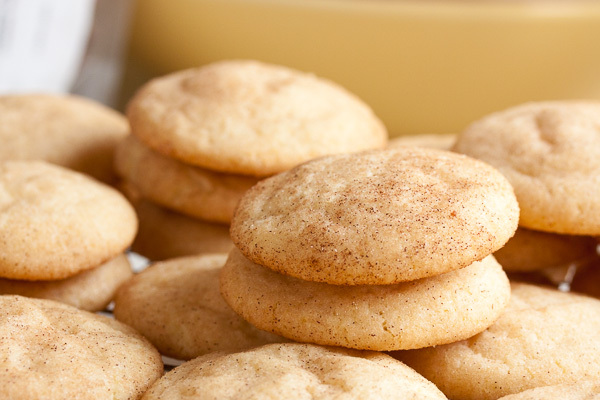 Traditionally, I believe snickerdoodles are made with a combination of baking soda and cream of tartar, while both of the recipes I’ve made have used baking powder instead. 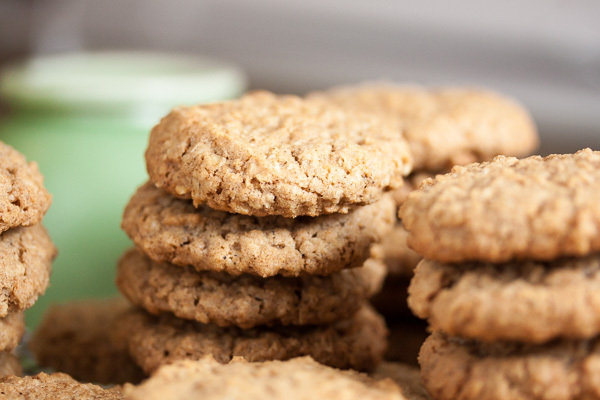 According to this article at Cooking Light, cookies made with baking powder will tend to puff up, while cookies made with baking soda are more likely to spread out. I’m not quite sure how that works because my understanding is that baking powder is essentially just baking soda with an acid added. Shouldn’t baking powder act the same way as baking soda plus cream of tartar? It’s times like this that I really think I should go to pastry school and learn what’s happening and why. Regardless, these are tasty cookies! Maybe a little denser than they should be, but nobody minded in the slightest. I actually brought these in specifically for a client meeting (same client as the peanut butter chocolate chip cookies I brought in a few weeks ago, lucky bums), and I thought there would be leftovers for my coworkers to enjoy. Nope. The only thing that made it out of that meeting room was an empty container. You know what that means? 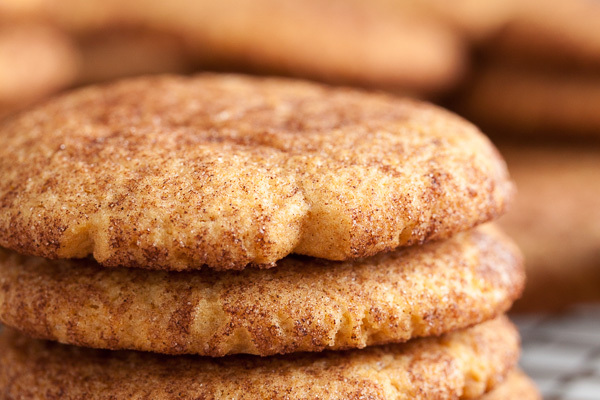 I’m just going to have to try another snickerdoodles recipe sooner than I expected! 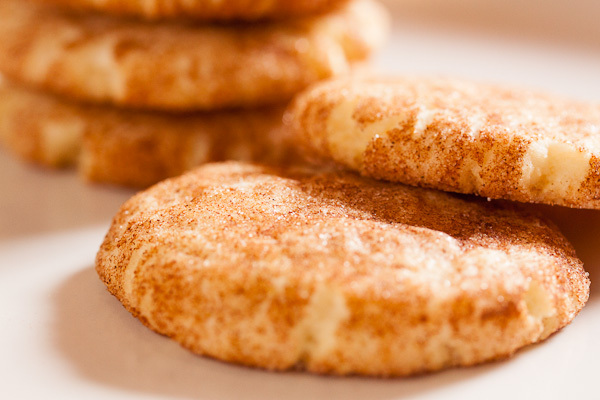 Adapted from "Cinnamon Sugar Crinkles" from The Good Cookie by Tish Boyle. The original recipe says it will make about 34 cookies, but I got 55. In a medium bowl, whisk together the flour, baking powder, nutmeg, and salt. Set aside. In the bowl of a stand mixer fitted with the paddle attachment, beat the butter, sugar, and molasses together on medium speed until light and fluffy, about 3 or 4 minutes. Scrape down the sides of the bowl and add the eggs, one at a time, beating well after each. Add the vanilla and beat again to incorporate. 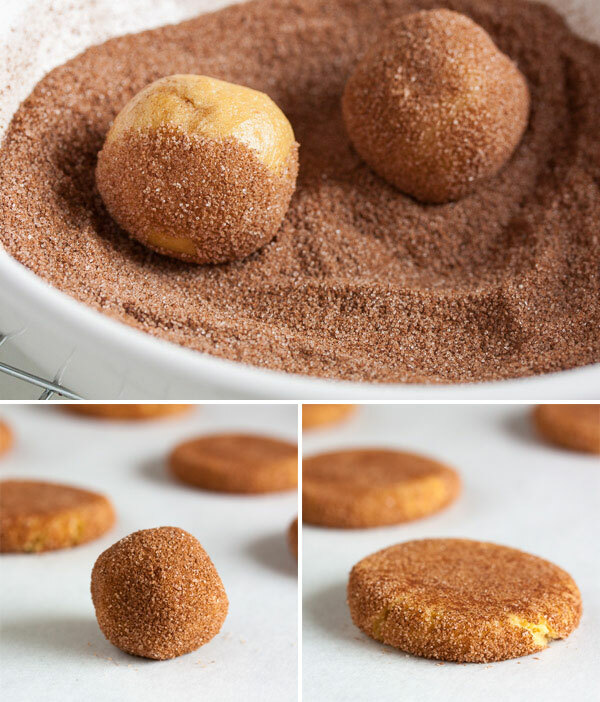 Form the dough into small balls and roll in the sugar-cinnamon mixture to coat completely. Place about 2" apart on a baking sheet and press the balls down slightly with the palm of your hand. Bake for about 16-18 minutes, rotating the pan halfway through, until the cookies are slightly puffed and the tops are crinkly. Thanks Debra! I’m going to make sure the next recipe I try uses the traditional baking soda & cream of tartar combination.